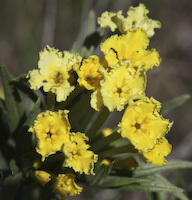 Photographs: 50 photographs available, of which 4 are featured on this page. SCROLL DOWN FOR PHOTOGRAPHS. 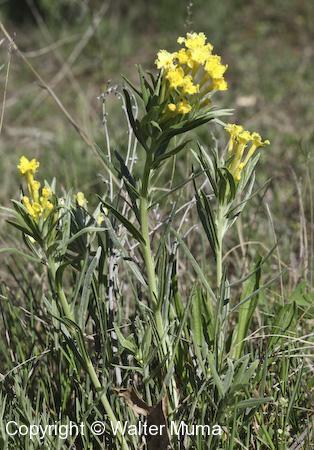 Fringed Puccoon plant in bloom. 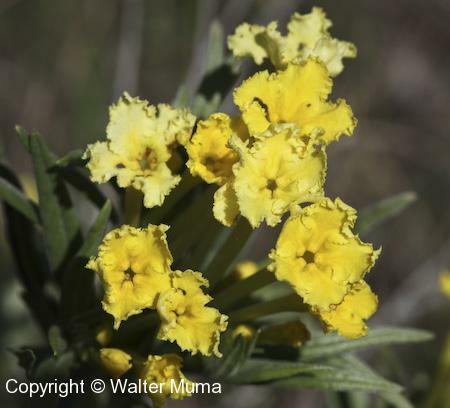 The yellow and somewhat ragged-looking flowers of Fringed Puccoon. 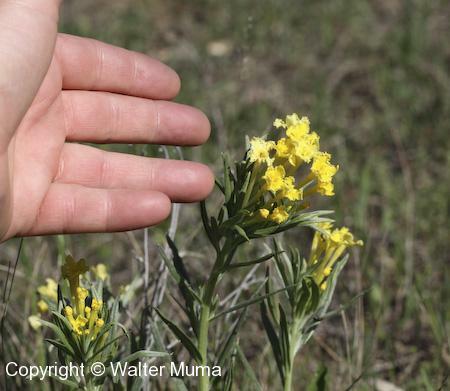 A photo showing the size of the plant. 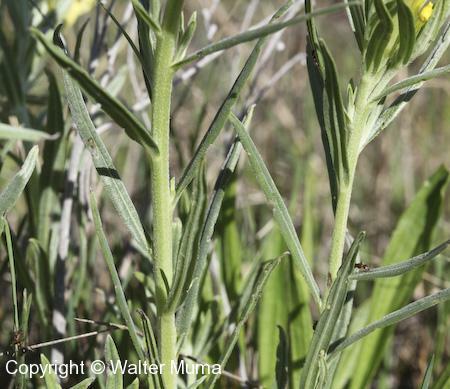 Fringed Puccoon stem and leaves.